Peter Hickman will start on pole position for this year’s 52nd Macau Motorcycle Grand Prix after pipping team-mate Michael Rutter to the top spot by 1.140 seconds. Hickman will be setting out for his third win around the Guia circuit, having been beaten by Glenn Irwin in last year’s shortened outing. 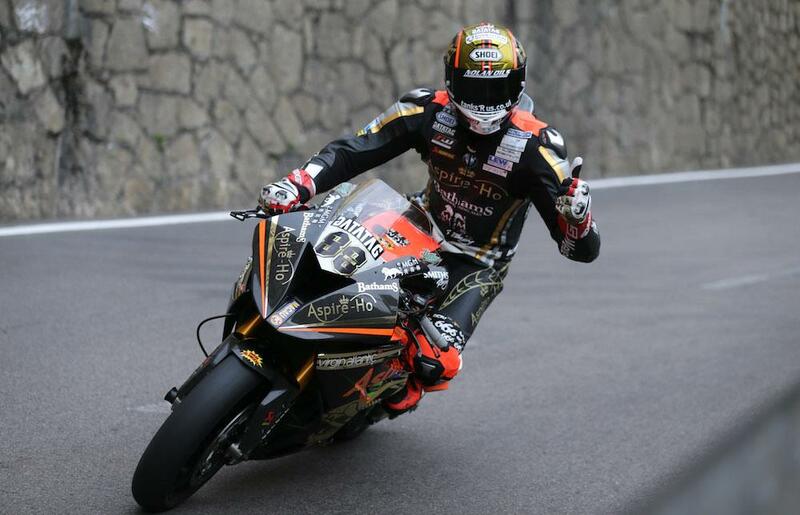 Riding the MotoGP-inspired RC213V-S, Rutter took the middle of the front row from PBM’s Martin Jessopp by just 0.312 seconds. Gary Johnson lines up fourth for the Briggs Equipment Kawasaki squad ahead of former 125cc Grand Prix racer Danny Webb on the MGM by Penz13.com BMW. Horst Saiger completes the top six aboard his Yamaha R1, ahead of PR Racing BMW’s David Johnson. Making his competitive racing return on a superbike for the first time since breaking his leg, John McGuinness was eighth quickest on the second PBM Ducati ahead of Ireland’s Derek Sheils with Sam West competing the top ten. The race gets underway at 07:55 UK time on Saturday morning and you can watch it live here.